With all the love and support our friends give us thorughout the year, it is really nice to be able to give back to them with some great gifts that they will love. Between Birthdays, Christmas and even Best Friend’s Day, there are quite a few days that you can choose to treat the special girlfriends in your life. As moms, a lot of time we are shopping foreveryone else and don’t get to stop to treat ourselfs because that doesn’t seem practical. Or we are too busy to take the time to even think about taking some “Me Time” and are constantly putting ourselves behind the others in your family. If you are experiencing feelings like I described above, you should know that your friends are too. So let’s help each other out and get each other gifts that will make our lives easier or more relaxing! Use this list of gifts to find the perfect present for the hard working mom in your life! These gifts are great for stay at home mamas, working moms, and even your own mom! Make your own shopping easier this year by using this gift guide to pick out the perfect treat for your favorite mamas. Adjustable Lap Desk/Breakfast Tray – I have one of these desks and I love it! This is perfect for the mom who is always on her email and would make doing work at night so much more comfy. This can also be a great gift for the mom who loves breakfast in bed. You may not be able to get the breakfast part for your friend, but you can help give her husband a hint with this cute tray! Instant Pot Duo60 – This is a great gift for your mom or sister. I held out on getting an InstantPot for a while since I thought I would never use it, but that has been proven incorrect! I love that I can make dinner in one pot in under 30 minutes with this kitchen tool. That makes dinner one thing that this hard working mom doesn’t have to think about any more! Silicone Wine Glasses – I have come to learn that the deeper you get into motherhood, the less frilly your wine glasses become. I have moved from crystal tall stemmed glasses, to stemless glass, to stemless plastic and now I am eyeing these Silicone glasses. Easy to clean and easy to pack for a picnic or movie night in the park! Bath Bombs – I had a friend that gave everyone bath bombs when she took them dinner after a having a baby. It was such a great way to encourage new moms to take a few minutes to relax! I love these bombs by Da Bomb and this Gold Treasure one comes with a piece of jewelry inside the bomb! Candles – Who doesn’t love a good candle? They look beautiful, they make your house smell lovely, and I bet there are studies that show that they are instantly relaxing. Hand Held Steamer – I know this may not sound like a gift that says “Thanks for being a great friend” but a steamer is an essential items for a busy mom. And if your friend doesn’t have one, she just has no idea how much joy this little tool could bring her. A Great Planner – You know what Busy Mom’s have a lot of? TO DOs. 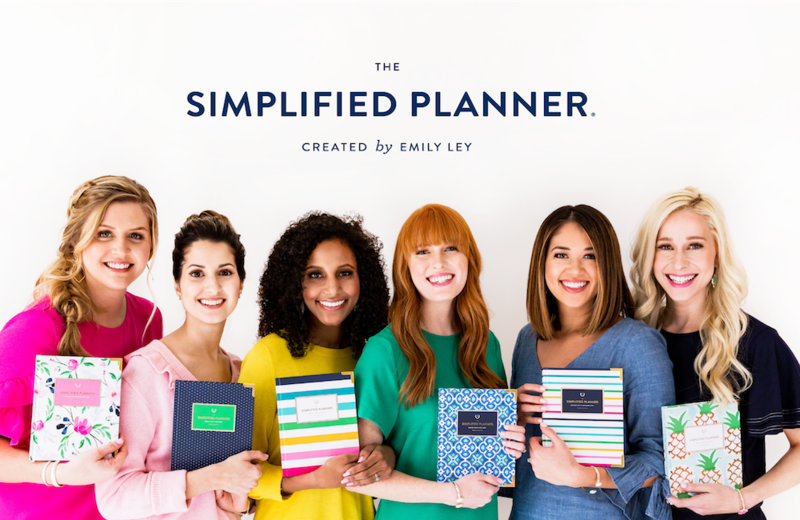 I would not be able to keep my head on straight without a good planner, and I love my Simplified Planner. There are a lot of good planners that you could gift your friends with (Erin Condren also has some great options) but I do love the thought of not making my planner more than just a place to track all of my tasks and calendar items. The Powersheets Goal Planner – I have a few friends who use this goal planner and we love being able to work through these together and keep each other accountable. This is such a great goal setting tool and I love getting a set for my mom each year. Bath Tub Tray – This tray will make relaxing a breeze for even the most crazed of moms. Face Masks – This is a great gift to give your girlfriends or to a close friend as a apart of a spa pack. If you want to add a little extra, you can also give them a mask brush to help sweeten the pot! Sleep Mask – Such an easy gift that makes a world of difference in a mom’s ability to take a day time nap! What are you going to be gifting to your favorite moms? Let me know of your great mom gift ideas in the comments below!